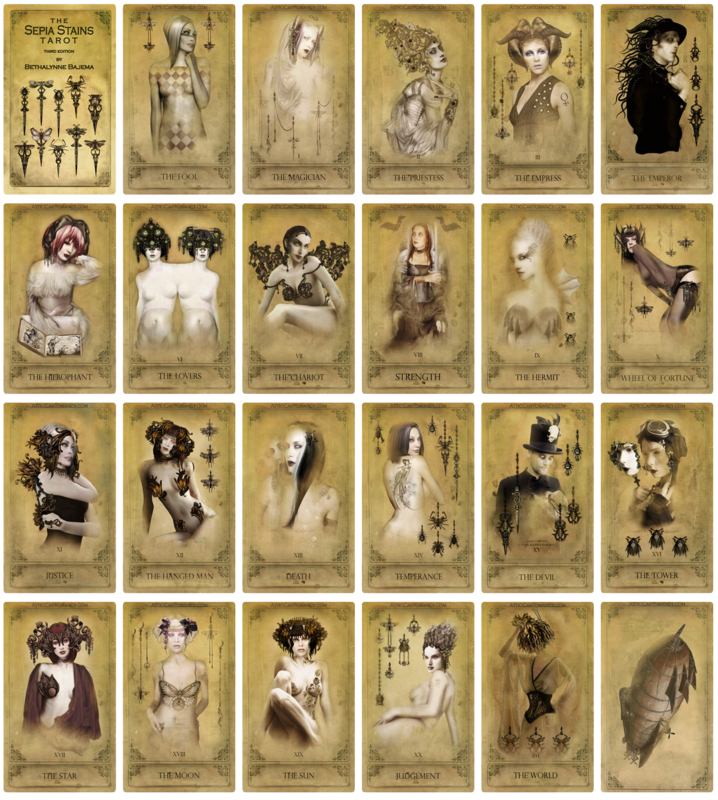 Sepia Stains is my first tarot deck and probably my biggest learning experience as far as all the many details that go into creating and publishing a deck. I began working on it mid 2000 and finished it at the start of 2008. At the time I was working on my first graphic novel The Black Ibis and within that story there are two tarot decks. I decided I wanted to make the decks as an extension of the story. As far as the style of the deck it is a very non traditional tarot that is very light on symbolism. The major arcana features characters from my graphic novel and the minor arcana features story artifacts. Below is a preview of the third edition of the deck. You can see previous editions You can view all of the posts tagged “Sepia Stains” at this link.